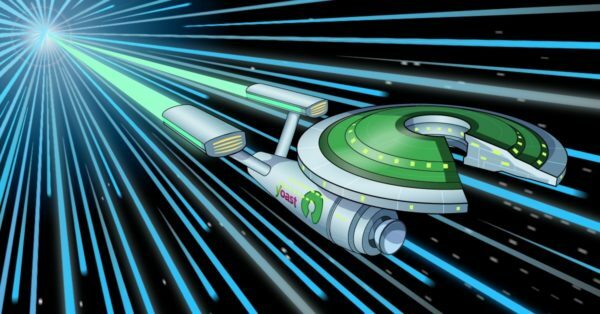 Home » SEO blog » Domains » Ask Yoast: Buy multiple Top Level Domains for SEO? 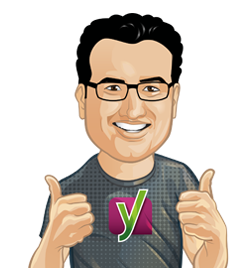 Ask Yoast: Buy multiple Top Level Domains? When you’re starting a business, you probably want to launch a website too. So you have to register one domain or more. Let’s say you’re registering your brand name as a domain, which extensions or TLDs (Top Level Domains) should you pick? Brandname.com? Brandname.biz? Or perhaps brand name.vip? Does it matter for SEO? We’ll help you make that choice in this Ask Yoast. “Is there any benefit to having multiple extensions of a .com domain name? Like .net, .biz, .co.uk, etc.? “Well, for SEO value it doesn’t really matter, because for SEO you probably want to use one domain and one domain only, in particular, a more generic one, like .net, .biz, etc. I would really recommend using just one and if you can, use the .com. But on the other hand, I would buy all of them. Why? Well, because you don’t want anyone else using them for their business. Your domain name probably relates to your business in some way and you don’t want anyone else using that for something else. So I would preregister or register a lot of them or at least the common ones, especially the easy ones like .net, .biz. You don’t have to do all the new fancy ones, like .agency… or whatever they come up with, but I would do the .net, .biz, etc. for your business. 7 Responses to Ask Yoast: Buy multiple Top Level Domains for SEO? I totally agree, to keep your brand integrity and make sure other people do not get confussed should always get the main tlds. I watched the beginning of your video and I understood that, let’s say, you are an agency and so you should register the “.com”, the “.net”, the “.biz”, the “.info” but not the “.agency” ? Hi Jean, it makes sense to get the most common ones for sure, like .com, .net, .org, .info (you can find more complete lists of the most common ones online). If you have an agency, than . agency might make sense too. It also depends on the kind of business you’re in! If you provide education, then .edu is a good choice too. Thanks for clarifying a simple questions. The question might be simple but it is hard to find a great and trustworthy answer until now.